Are Finished 80% Guns Good For Carry? Personally speaking, I wouldn't do it. I would not finish an 80% handgun of any design to carry for self-defense. I also recommend that you not do it, either, for the reasons I'm about to point out to you below. Ultimately, the decision is yours to make as with all things. This is right along the lines of you carrying ammunition that you hand loaded, but has a few small differences. Do you have the skills necessary? The first consideration, at least for me, is whether or not I (or you) have the skills necessary to finish an 80% gun to fully functioning condition. What I mean is, will it work when it is done and you go to squeeze off rounds? I, personally, do not have the skills necessary to finish a gun and have it work. I've built one AR-15 and I've tried to build an 80% handgun. The handgun was a miserable failure. 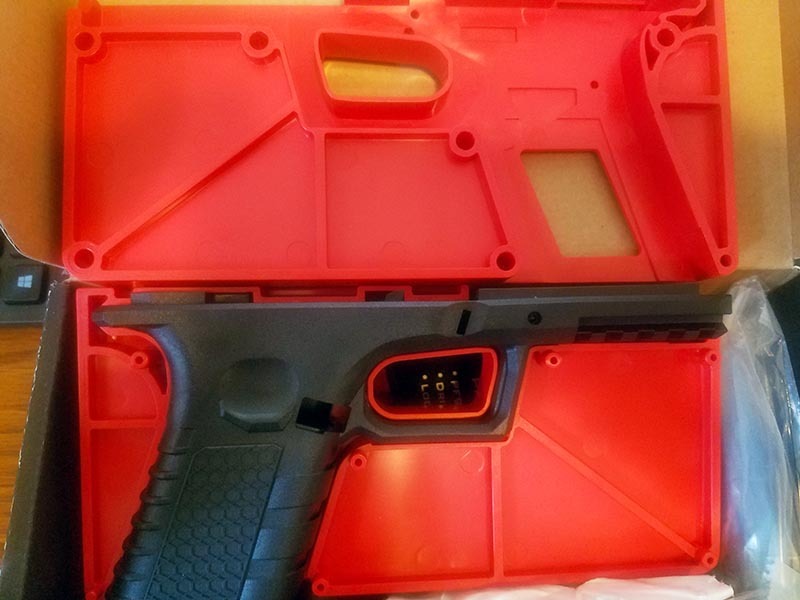 The AR works, but I can tell you that it doesn't work right and I'm in the market for a finished, pre-built lower. For some strange reason, even though I didn't install a binary trigger, it fires on both the pull and the release. While some may think wow that is so cool–I didn't build it that way so it shouldn't do it. It concerns me enough that I don't shoot that AR because I don't know how it will act. It doesn't do it all the time so it is unpredictable. Even guns built by the pros malfunction. All guns malfunction. All of them. Anyone who tells you their Glock or their revolver is flawless is full of it. Every gun at some point will fail whether it's due to operator error, weak springs, or just shoddy manufacturing. And here's the thing, those gun manufacturers get paid to build guns. They have professionals, gunsmiths, and engineers whose sole job is to build guns that go bang with each trigger squeeze. Here's the interesting thing though, most of the manufactured guns are tested to the point of failure so there is a baseline of sorts. They know, on average, how long one of their firearms are going to last. Because your 80% firearm may be finished to a bit of different standards, using different slide, spring, etc., you'll have no idea how long it'll function for. While there are others like it in existence, it's technically a one-off build because you did it, and it wasn't done in a factory to the same exacting specs as all the other firearms that rolled out of the factory before and after it. How will they react when they get an un-serialized firearm out of your holster? My guess is that they'll be trying to figure it out with you being at least temporarily detained so they can figure out what's going on. I would personally prefer to not have to deal with that. My time is way too valuable to be stuck on the side of the road while the police are looking into my un-serialized firearm. Listen, friends. If there is one thing the anti-gunners have shown us time and time again, it's that not only are they dumb when it comes to guns, they don't care to learn. You and I both know that the only way one of these unfinished 80s is going to be more dangerous is on your end if it malfunctions when you need it. They, 1) don't know any better. They, 2) don't want to learn that your gun is no more dangerous than the regular Glock 19 it was modeled after. They don't care and they'll try to paint as bad of a picture as they can in court if you ever do need to defend yourself with your homemade firearm. Chances are good that they'll do all they can to turn you into the slimiest individual they can. Would they succeed? Who knows, but I'd think they probably wouldn't. Then again, at what cost to you? To tie it all together, there are just so many options out there for your concealed carry, self-defense purposes. Most of the factory guns out there today are reliable with each squeeze. And, just as long as you do your part, they'll do theirs. It's that simple. I personally would never trust my life to something I built myself or that could jam me up in other ways. What do you think? Is it a good idea to carry an 80% gun that you finished yourself for self-defense? Let us know in the comments below. And, if you're in the market for a new gun, check out our buddies at 1800 Guns and Ammo because they've got some of the best prices I've seen in a long time.